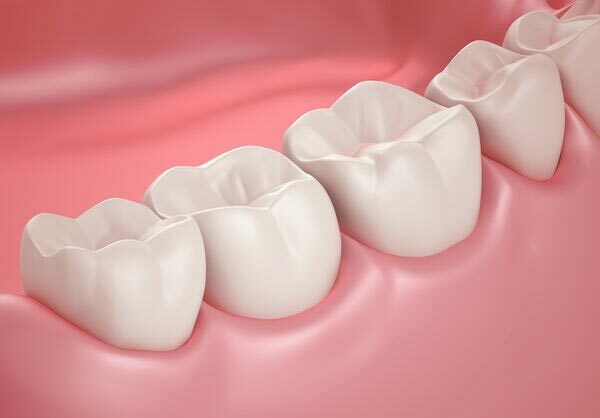 A molar is a tooth located completely in the back of the dental arch. 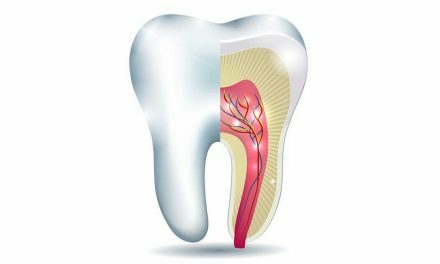 It is the most voluminous type of tooth in the mouth, with four to five cusps, and two to four roots. Molars are found in both sets of teeth, the deciduous and the adult dentitions. The major role of those big and important teeth is to finalize the grinding of foods before swallowing. There are eight molars in primary teeth, four on top (two on each side) and four at the bottom. They come out in the mouth between 13 and 33 months of age. 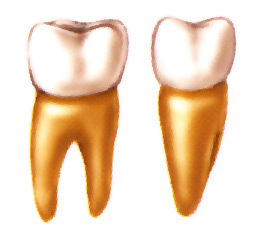 Primary molars are eventually replaced by adult premolar teeth between 10 and 12 years of age. 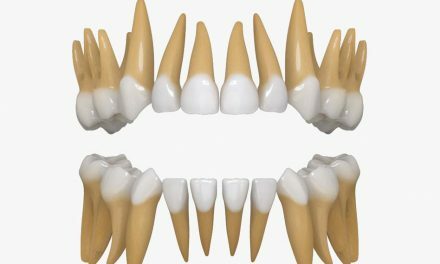 In permanent teeth, there are twelve molars, six on top (three on each side) and six at the bottom. Among those twelve teeth are included the four wisdom teeth. 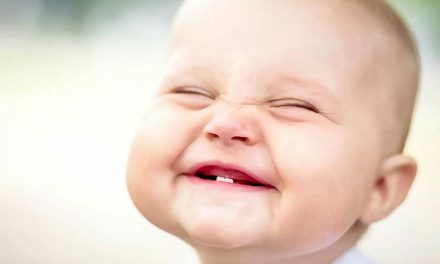 First molars come out in the mouth at 6 or 7 years old. Second molars erupt around 11 to 13 years old. 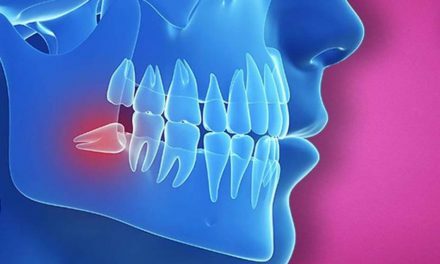 Wisdom teeth (third molars) can come out completely if there is enough space for them in the jaws, and this would occur at 17 to 21 years old. But if there is not enough space for wisdom teeth, it is generally recommended to extract them to avoid any complications. Molars natural grooves on their chewing surfaces. They are called pits and fissures, and can be deep. Foods can stick on them and are hard to brush away. Cavities can therefore start more easily. Dentists recommend placing dental sealants on the chewing surfaces of molars, for children and teenagers. Sealants are resin protections that fill those deep grooves, creating a smooth surface that is easy to clean with a toothbrush. 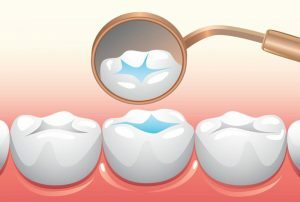 Dental sealants can also be advised for adult premolars, and sometimes for primary molars if their grooves are very deep. Permanent first and second molars are very important for chewing foods. If they are removed and not replaced, there may be serious long-term consequences in the balance of the occlusion of teeth, and in oral health in general. Wisdom teeth are not as important, and someone can have a very healthy mouth without them. NextWhat might cause you to grind your teeth?